I recently had the opportunity to review Purex® PowerShot Detergent that makes doing laundry a breeze! I have been trying to get my daughter more involved in our family chores because not only does she ask to help all the time (which I'm trying to enjoy because I know it won't last long), but also because I want to start giving her an allowance soon and start teaching her about earning stuff instead of just being given everything. So helping out with laundry, I felt, was the first step. I take the clothes out of the washer and she puts them in the dryer. Then I hand her the separated clothes and she puts them in the dryer. (I am also working on getting her to help with the dishes and vacuuming, but I'm not holding my breathe!) After the clothes were in the washer, we were usually done, but now thanks to Purex® PowerShot Detergent she can help put this easy measure liquid detergent in without any spills! Check out Arts and Cracker's post on more tips on why this product would come in handy! THREE lucky Nanny to Mommy readers will win a FREE product coupon to test out Purex® PowerShot no-spill, easy measure liquid laundry detergent for themselves! Entry is simple! Just follow the prompts on the Rafflecopter below. Giveaway is open to US only and entrant must be 18 or older. Good luck! 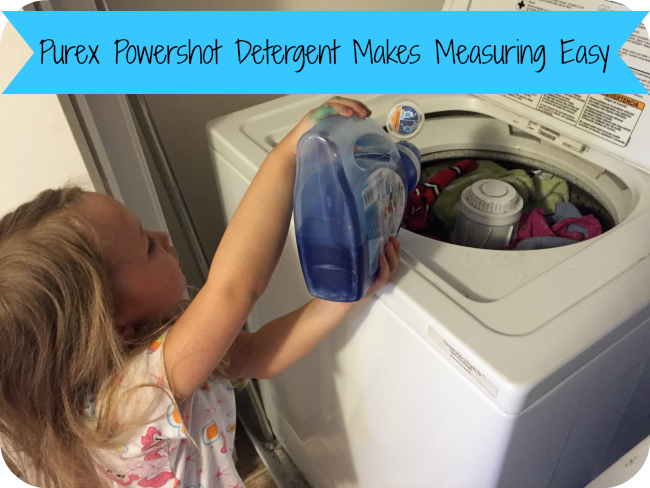 What do you think of Purex® PowerShot no-spill, easy measure liquid laundry detergent? 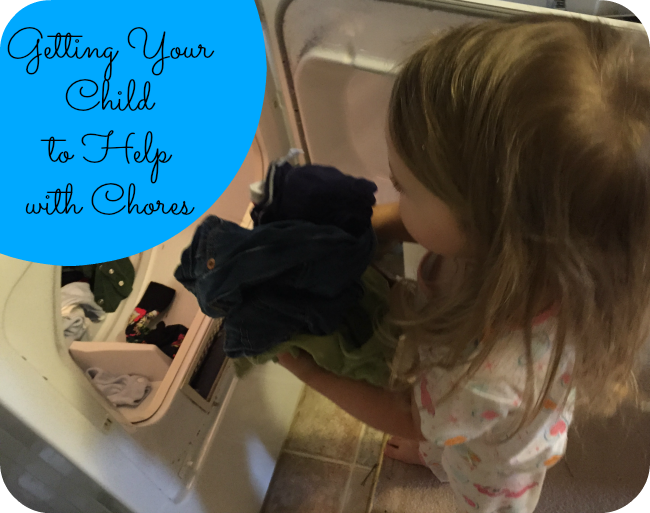 Do you try to get your kids to help out with chores? If so, what are some ways you get them to help? Disclosure: This contest will run through March 9, 2015 at 8:59 pm PST (11:59 pm EST). Winners are chosen via Random.org, ALL winning entries ARE verified. The winner will be notified by email they signed up with and will have 48 hours to reply or another winner will be chosen. No purchase necessary. US entries only. Must be 18 years or older to win. This giveaway is sponsored by Purex, shipping provided by Nanny to Mommy. I received free products to share this review and giveaway. This promotion is in no way sponsored, endorsed or administered by, or associated with, Facebook. You understand that you are providing your information to Nanny to Mommy and not to Facebook. If there is an issue with this giveaway, please notify Nanny to Mommy at Diana.n.chastain@gmail.com. Shipping can take up to 4-6 weeks. Coupons expire 12/31/2015. I would like to try Purex PowerShot because it seems like such a time saver! I also love how easy it is, my husband could finally help with laundry! The last time I let him help he over measured the detergent and we ended up with a laundry room FULL of bubbles! I have tried other purex products and I love them. Purex powerShot seems like it is easy to use. I can not wait to try this purex product as well. I have grown adults that think they need to add TONS of laundry detergent. I've even made my own, and it seems to disappear faster than what it should. THIS WOULD BE PERFECT! 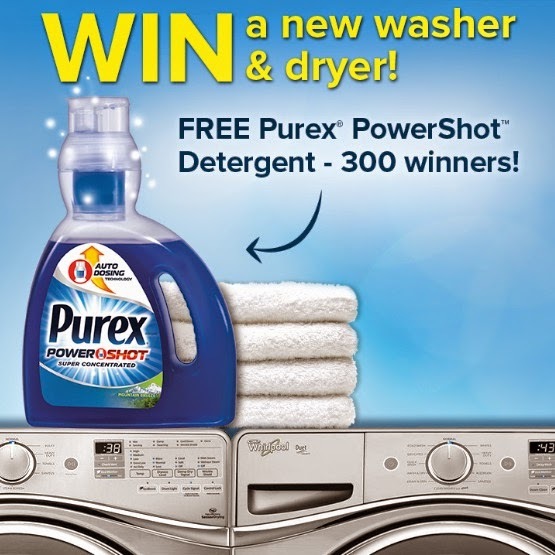 I would like to try the Purex powershot detergent as I have always liked using Purex in the past. I love the auto refill as my teen daughter does the laundry as well and i'm trying to teach her how to use the detergent in moderation. She seems think you need a lot of detergent for the clothes to come out clean. I just made a chart with smiley faces. When they finish, they get a smiley face! No other reward and it's enough for them. My 4 year old helps, she delivers folded laundry to the room it belongs in. I do laundry for 7 people and hurry to get the next load started, so I know I over use laundry detergent. Our kids think that chores are just a part of everyday life. Usually they are helping us do things, not doing them on their own. For instance, I tell them to sweep while I vacuum, and they feel like they are helping me. I love this design, definitely would like to try this out. My daughter is still really young so we are making games out of picking things up. We just make sure to do it every day at the same times! I have a hard enough time getting hubby to help with laundry! This would simplify the "how much" question! My daughter LOVES to help with chores, that involve mommy. So dishes/sweeping/laundry are her favorites. Now for HER chores like picking up toys or making her bed, I have yet to master that one haha ah children. I would love to win this giveaway so I can try the new dosage cup on the bottle as I have arthritis and this will be easier to handle. My child is only 15months, so I'm usually trying to convince her not to 'help' me with chores at this point. We use Purex detergent, so would like to try out the new Power Shot and compare. Thanks! My toddler loves to help! I just have to say "you want to be like mommy?" and she comes running. Purex is our favorite around here! Used Purex for a long time and think this would make it less chance of drips. Thanks for the chance. I'd love to let my college age son try this! It seems like it would be perfect for a college kid. I use chores to earn time to play video games! I love Purex laundry detergent so trying their new product would be great! I use chores with my 2 & 4 year old to earn snacks. As chores for them is more of stuff to get them to learn as they get older such as picking up after themselves, helping load the washer/dryer, putting their clothes away in the right drawer, sweeping the floor with their own personal little brooms, that sort of thing. I like Purex products and would love to try this. I really like the simplicity of the 1 flip or 2 flips for quantity. I learned if I get in there and help them with the chores they are more likely to do them. I would also love to try the New Purex Powershot for the easy refill! What is this kids do chores thing because someone forgot to mention it to my kids. I have to remind my kids to do their chores every day. Usually though they are good about doing them though. They unload the dishwasher, help with dinner, and look after their pets. I would like Purex Power Shot Detergent because I use Purex detergents regularly. I am so tired of messy used detergent cups in my laundry room, I think the Purex Power Shot detergent would solve my problem. I would like to try the new measuring system. I would love to give it a try.. I do 20 loads of laundry a week. I try to make it fun and reward them. They love helping mom and grandma out. We do not have to do anything special to get them to help they offer it. i would like to try purex as i have heard great reviews of the product and also that the detergent fills up auomatically in the cup which is a great thing. We used a reward system to have our children help us with laundry and chores. We give my daughter an allowance. If she doesn't do her chores, she doesn't get her money. I learned early on that you can expect your children to take care of certain chores as part of their routine. Clear their plates, put their clothes in the wash, etc. It's part of their routine. I would love to try this because of its easy pour! I would love to give this a try. I love purex but have not seen this yet. My teens do their own laundry. They would like to try it. My daughter is 7 months old so no help with chores yet! I think the purex powershot is a triple win! Purex is a great value, cleans well, and with this new Purex, you won't be wasting any! My youngest son likes to do Mitzvahs which are good things. He does help mom with organizing the homeschool etc.